KTM has been teasing us for years. Yes, years. And now, the time has come for parallel Twin fans in North America to do what riders in the rest of the world were able to do in the 2018 model year. 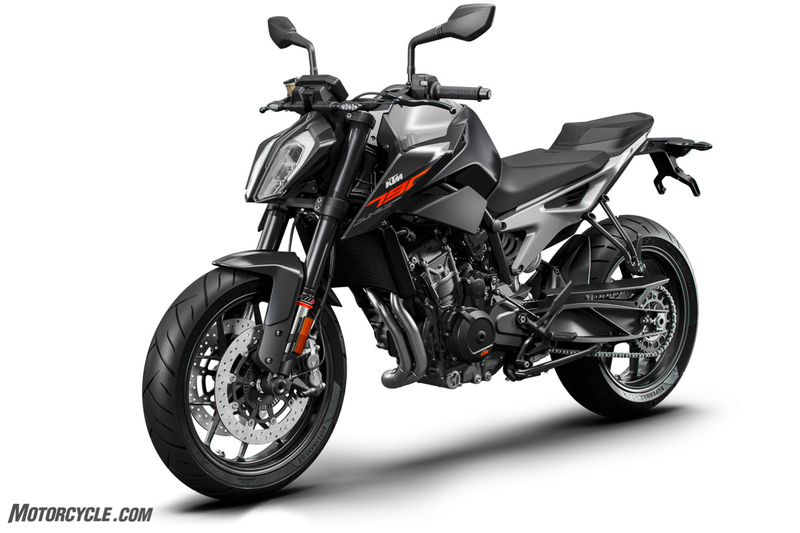 We’re not bitter – a little frustrated, yes – but not bitter, and we are salivating at the opportunity to throw a leg over the 2019 KTM 790 Duke. In case you’ve been living under a rock and have never heard of the 790 Duke, here’s what to expect. 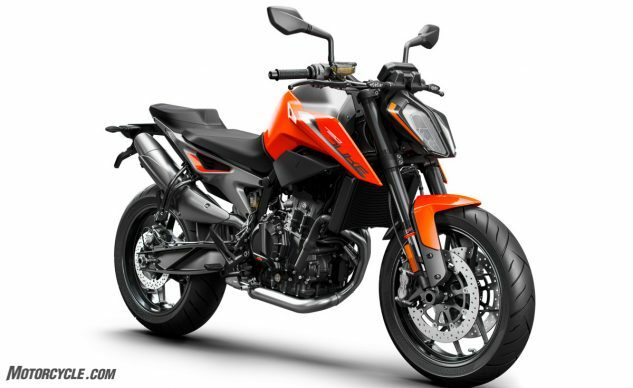 An all-new engine for KTM, the 790 Duke is powered by the LC8c parallel twin displacing 799cc. Twin balancer shafts control the inherent vibrations of the engine design while DOHC manage the four valves per cylinder. Ride-by-wire and a 42mm DKK Dell’Orto throttle body control the fuel mixture. A PASC (Power Assisted Slipper Clutch) controls wheel hop under aggressive downshifts. To manage the heat generated by the engine, the oil cooler contains a heat exchanger with the liquid cooling system. The chassis is a lightweight tubular Chromium Molybdenum steel frame that utilizes a cast aluminum subframe. The front suspension consists of a WP 43 mm open-cartridge front fork while the rear is handled by a gas-assisted WP rear shock with progressive spring and preload adjustment. The swingarm is a die-cast, open-lattice swingarm unit, which has been optimized for stiffness and tuned flex. A steering damper keeps everything tame, given the sporting nature of the Duke. Finally, a wide, tapered, adjustable aluminum handlebar allows the rider full control of the cast aluminum wheels and their 120/70 ZR 17 front and 180/55 ZR 17 rubber. The styling is pure KTM with the sharp, aggressive lines throughout the bike. With a claimed dry weight of 372.6 lb., the 790 Duke is sure to pin your horsepower-per-pound-fun-o-meter, and we can’t wait for November to get here. Stay tuned!